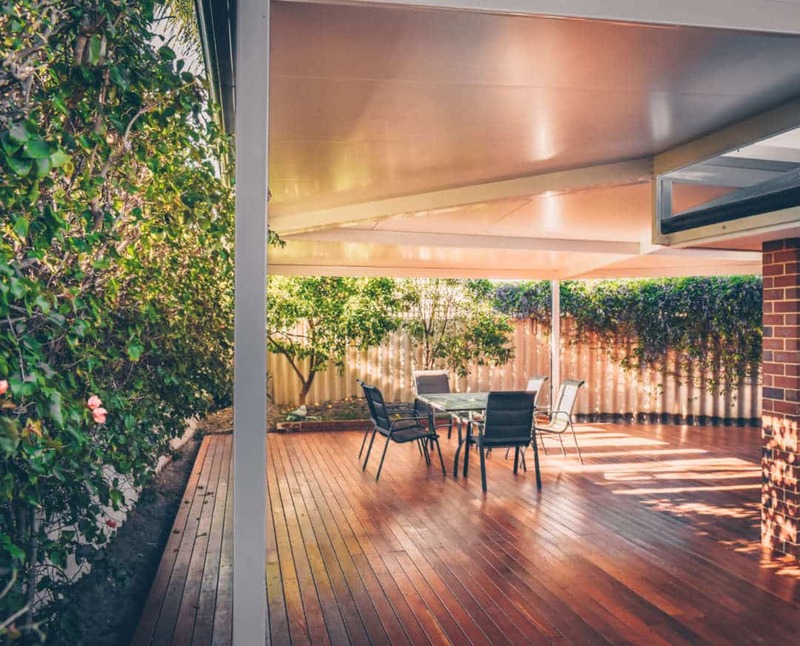 Choosing between a pergola, a patio and verandah is hard enough at the best of times, but it can be downright impossible if you don’t actually know the differences between them. You’ve probably heard of all three. You can probably picture them, but they all blur together into one universal structure. It’s important to know the differences; otherwise you might struggle to properly describe to your builder what you’re actually after. Luckily for you, we scoured the internet and managed to come up with some definitive descriptions to help you choose the right structure for your backyard. A pergola traditionally has an intimate relationship with your garden. Pergolas were traditionally built to support climbing plants, but have evolved over time into a series of structures designed for outdoor relaxation. Roofs weren’t initially a feature of the pergola, with people preferring to use foliage as protection from the sun. The main thing that separates the pergola from the patio and verandah is its relationship with your backyard. Pergolas are often designed to interact with your garden in ways that patios and verandahs cannot. They can be connected to the house or freestanding, but they usually incorporate the plants in your backyard in their design. For example, it is common for pergolas to be built without roofs, instead using foliage as protection from the sun. This allows more sun to penetrate, giving your backyard a more natural feel. Read this post on how to choose a Pergola. Patios are quite similar to pergolas, in that they can both be combined with timber decking. Patios are slightly different to pergolas in that they don’t usually incorporate climbing plants. They don’t always have rooves either; in fact, some patios are simply a paved area outside the back door. There is one thing they all have in common – they are all used for dining and recreation. A patio is always a comfortable outdoor space designed with luxury and relaxation in mind. Patios have also been known to incorporate other features, with timber decking being a popular alternative to paving. Homeowners often use their patio as an opportunity to display their unique taste and style, decorating it with plants and outdoor furniture. A verandah is often narrower than its counterparts. The word ‘verandah’ comes from India, where it literally means “a place that leads outdoors”. Verandahs are a little different than patios and pergolas, in that they are always found on the ground level of a building. They are also traditionally narrower than their counterparts, with most verandahs being too constricted to allow an outdoor setting. One key difference between verandahs and patios is that they are always covered – regardless of where they sit on the house. They are nearly always positioned at the front of the property, often wrapping around to the side. 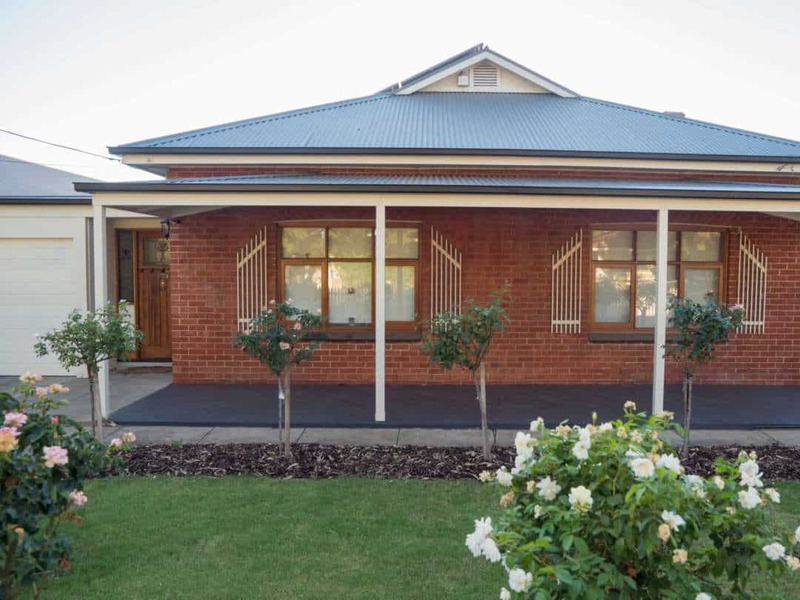 In fact, it isn’t uncommon for a verandah to wrap around a property completely. 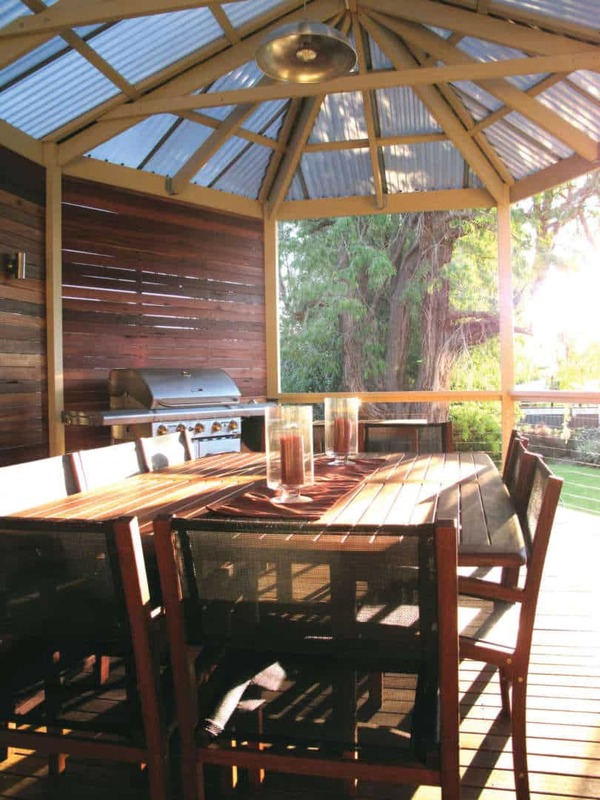 Verandahs have always been popular in Australia, and even to this day they’re a staple of the Australian home. You could drive down any street in the country and you’ll see a house with a verandah on it, perfect for relaxing with a cup of tea. This is where we come in! Our friendly staff will come visit you at home where they’ll be happy to discuss whether a pergola, patio or verandah would be right for your home. Take a look at some of the inspiration on our website to get an idea of what you might want. It always helps us to achieve the best result for you if we have some idea of what you’ve got in mind. It doesn’t matter which one you end up choosing; we’ll make sure it fits the style and aesthetic of your home. Contact us today and you’ll be relaxing under your brand new pergola, patio or verandah in no time.